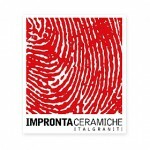 Impronta Ceramiche is the result of a merger between two leading Italian ceramic companies that had over 60 years of combined experience before becoming a single ceramic manufacturer. Recently the company has also included another company, Ceramica Magica, which further expanded the enterprise\'s reach and production abilities. Thanks to the use of innovative business strategies and the latest technological solutions, Impronta tiles are now in high demand all over the globe, setting new standards of quality and design. The product range offered by Impronta will surely impress anyone and provide the best solution for any commercial and residential project. The variety of tiles, ceramic floors, porcelain stones and wall tiles is highlighted by the modern and sophisticated design, which adds luxury and comfort to any space, no matter how big or small. Impronta tiles are an option you can never go wrong with regardless of your personal preferences or the project you\'re working on. The high quality of products and their pleasant aesthetic are the main reason why people all over the world tend to choose this particular brand of Italian tiles.